Everyday our Red Cross staff and volunteers risk their lives to support and aid people in vulnerable communities around the world. The Irish Red Cross is deeply saddened by the recent violent deaths of six Red Cross volunteers earlier this week in the Central African Republic. The volunteers were taking part in a crisis meeting at a health facility in Gambo in Mbomou prefecture in the south east of the Central African Republic on 3 August. The exact circumstances are not yet clear; however, reports indicate that civilians and medical staff may also have been killed. This is the third such attack in Central African Republic to claim the lives of Red Cross personnel since the beginning of the year and brings to 24, the number of Red Cross volunteers killed in 2017 to date. The Irish Red Cross is deeply concerned about the resurgence of violence in the Central African Republic in recent months. 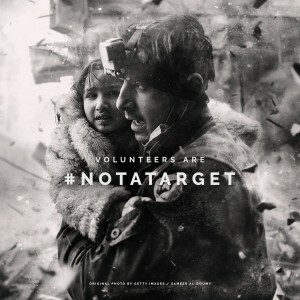 This violence, and the specific targeting of humanitarian workers, is preventing Red Cross volunteers and personnel from assisting communities who have been severely affected by the armed conflict. The Irish Red Cross extends its sincerest condolences to the families of those killed in the 3rd August attack, and to their colleagues and friends across the Central African Republic. The full statement by the Red Cross Movement can be found here.